Few things are more frightening than The Haunting at Horse Creek, but a dreaded diagnosis of Cancer happens to be one. Each year the team of volunteers — consisting largely of friends and family — who produce The Haunting at Horse Creek work toward the day when such a diagnosis is no longer a thing to be feared. Because of the generous efforts of those volunteers as well as the throngs of brave souls who make the annual trip back to Horse Creek to walk — let’s be honest sometimes run — through The Haunting at Horse Creek, you know who you are, that day is now closer than ever. Eradicating Cancer isn’t the only aim of this event. 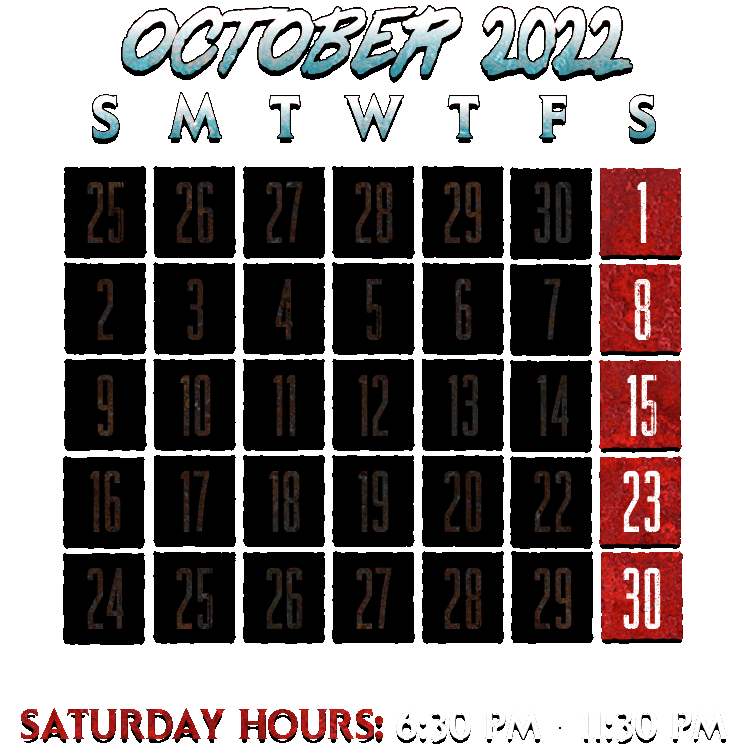 Each year those same volunteers seek new ways to scare the stuffing out of people, and create a unique experience rivaling the very best professional haunts. With its terrifying combination of both atmosphere and story The Haunting at Horse Creek manages to do just that.